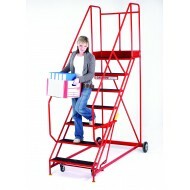 5 Tread Easy Rise Step with Choice Of Rubber, Punched or Anti-Slip Treads. Hand built with attent..
5 Tread Easy Rise Step with Punched Treads Hand built with attention to detail to ensure total re..
5 Tread Easy Rise Step with Rubber Treads Hand built with attention to detail to ensure total rel..
5 Tread Easy Rise Step with Expamet Treads Hand built with attention to detail to ensure total re..
5 Tread Easy Rise Step with Aluminium Treads Hand built with attention to detail to ensure total ..
12 Tread Easy Rise Step with Punched Treads Hand built with attention to detail to ensure total r..
6 Tread Easy Rise Step with Choice Rubber, Punched Or Anti-Slip Treads Hand built with atten..
6 Tread Easy Rise Step with Punched Treads Hand built with attention to detail to ensure total re..
6 Tread Easy Rise Step with Rubber Treads Hand built with attention to detail to ensure total rel..
6 Tread Easy Rise Step with Expamet Treads Hand built with attention to detail to ensure total re..
6 Tread Easy Rise Step with Aluminium Treads Hand built with attention to detail to ensure total ..
7 Tread Easy Rise Step with Punched Treads. Hand built with attention to detail to ensure to..
7 Tread Easy Rise Step with a Choice of Punched, Rubber Or Anti Slip Treads. Hand built with..
7 Tread Easy Rise Step with Rubber Treads Hand built with attention to detail to ensure total rel..
7 Tread Easy Rise Step with Expamet Treads Hand built with attention to detail to ensure total re..